We rehearse weekly in Cambridge and these rehearsals are a great mix of serious structure and spontaneous good times- light on serious, heavy on fun! They always begin with warm-ups, after a good sing there's always a break in the middle for a sociable cuppa and nearly always end on time. 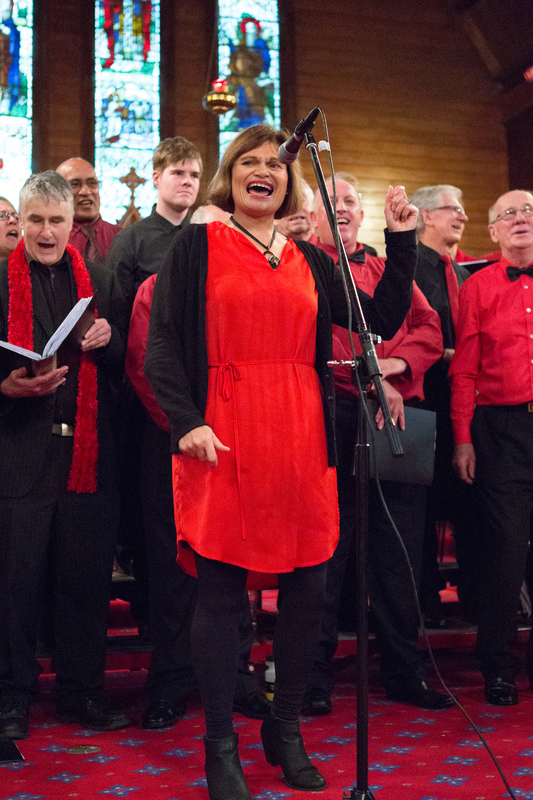 Being a Cambridge based choir we perform mostly for our local community and the Hamilton area. 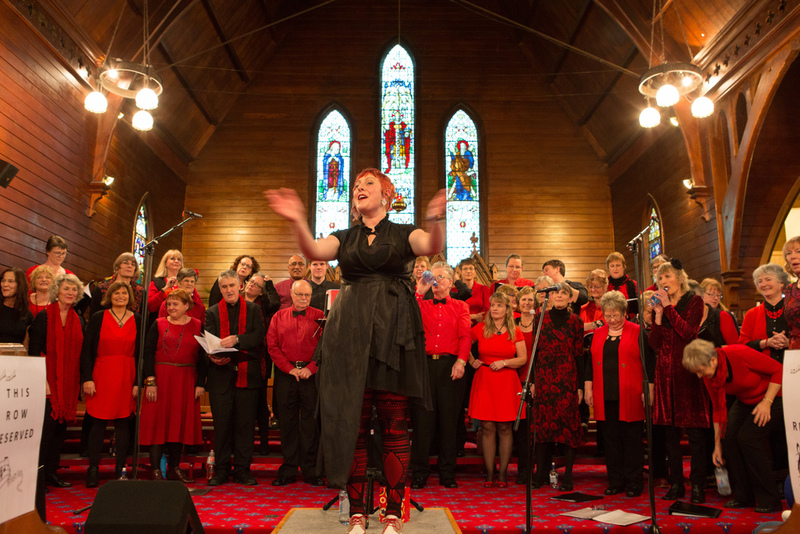 We perform at community events such as the Cambridge Autumn and Christmas Festivals and the ANZAC Day Service. A major focus each year is our midyear concert with an evening and matinee performance. 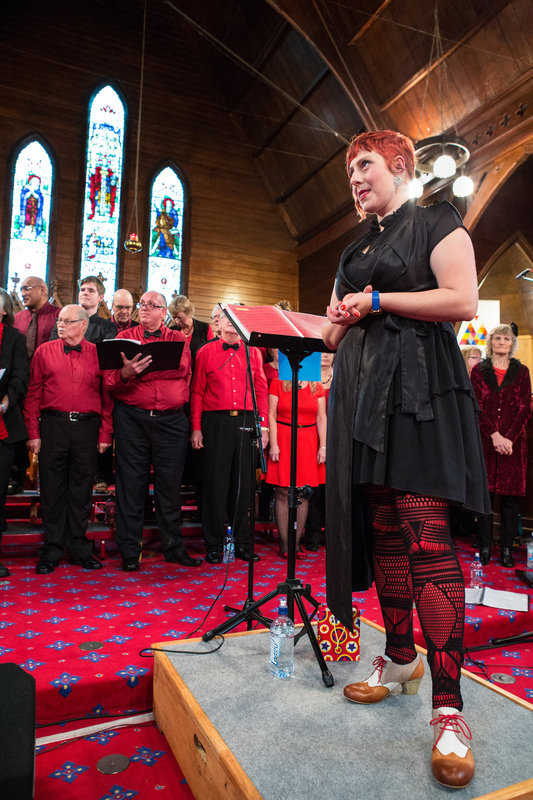 Other performances have included the Waikato Show, local retirement villages, Christmas caroling and combined shows with other choirs and musical artists. We will perform in churches, in the street, in marquees, in hospitals, in halls...pretty much anywhere really. It's that "We love to sing" thing again! Our ever changing repertoire includes old songs, new songs, songs to make you sing along, songs to make you smile and the occasional song that's so beautiful you might even cry a little. We aim for a little bit of something for everyone.